Is there a better alternative to SimBooster Pro? Is SimBooster Pro really the best app in Optimizers category? Will SimBooster Pro work good on macOS 10.13.4? SimBooster Pro is an all-in-one package that includes a variety of system tools to help you clean and protect your Mac. 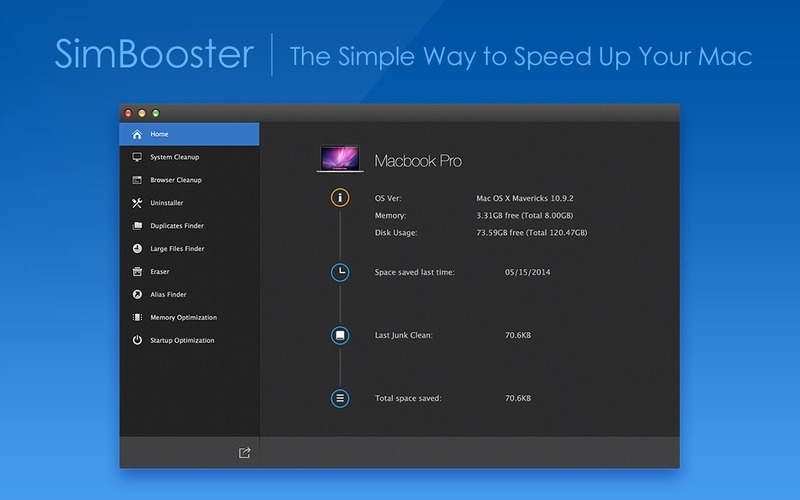 For slow Macs, SimBooster can release RAM to increase the processing speed. It can also help users protect their personal data from malicious cookies. Users who suffer from small hard drive space, SimBooster can clean trash, logs, and cache files to free up hard drive space. Its Duplicates and Old Files Finder can further clean up more space for users. Additionally, SimBooster can clean temporary files of web browser and get rid of unwanted apps or files.